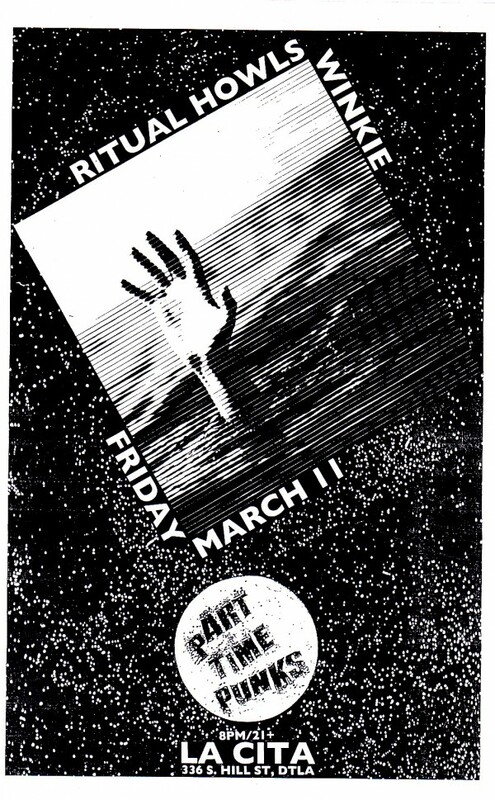 Part Time Punks presents live music by Ritual Howls and Winkie! Followed by Punky Reggae Party! RITUAL HOWLS. On tour for the release of their second album “Turkish Leather” on Felte, Ritual Howls incorporates strong elements of blues and avant-garde thrillers into industrial music.